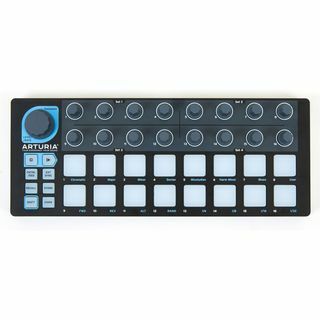 BeatStep is a compact and flexible pad controller allowing you to trigger your clips in a DAW, to control your virtual drum but also to sequence both software and hardware instruments thanks to its USB, MIDI and CV/Gate outputs. It comes along with one of our most famous virtual synthesizers, the Oberheim SEM V, a faithful reproduction of the original Oberheim SEM from 1974. The second instrument of this bundle, Analog Lab allows you to pick your sound from among 6000 presets of all our legendary synthesizers virtual recreations. Last but not least, Ableton Live Lite allows you to be immediately operational. In SEQ mode the pads become toggles for each step in your sequence. The 16 encoders will adjust pitch for the associated step. 16 memories allow for instant recall of your favorite patterns while the pad scale modes, sequence playback modes and time division functions allow for realtime performance changes.On top of all that it has MIDI, USB and CV/GATE connectivity, giving you a sequencer that will work with all types of gear, including analog synths, software instruments, and MIDI hardware. 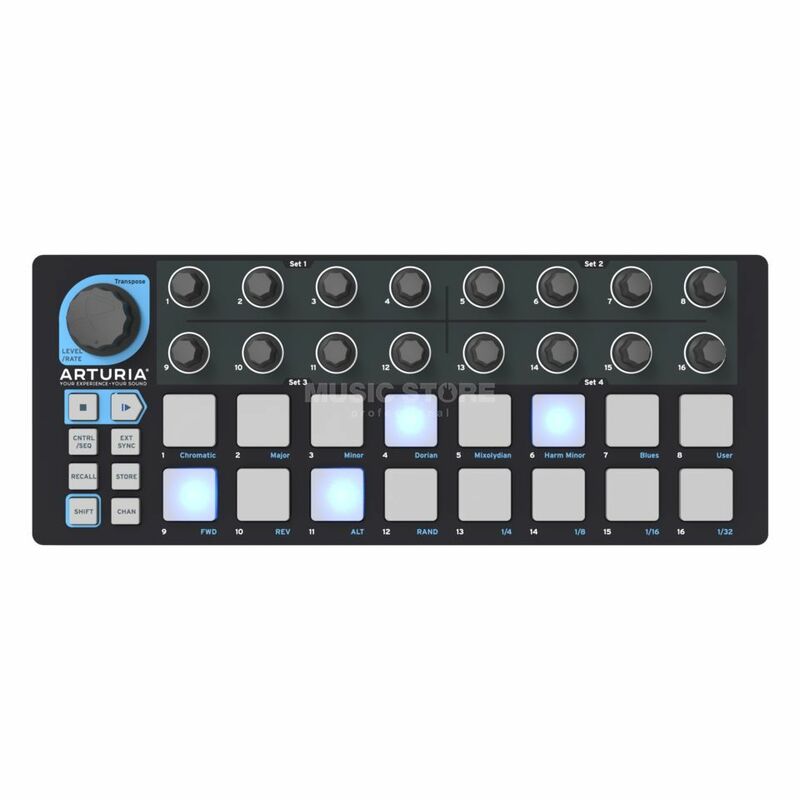 With 16 encoders, 16 pads/buttons and 16 presets, there are as many ways to use BeatStep as there are live gigs and studio environments. You can trigger clips in Ableton Live or use the encoders to adjust the effects in your favorite DJ app. The transport buttons can be MMC controls or send MIDI CCs to start and stop your DAW. It can be the MIDI Clock master or slave to an external clock. !!! Please note our general conditions buying software products !! !